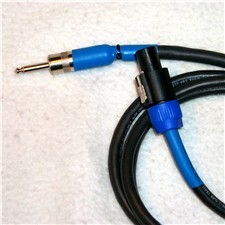 Our Power SC00-NL14's are touring grade Speakon to 1/4" male 12 gauge speaker cables These cables are made with real Nuetrik Speakon NL4 & G&H Large bodied male 1/4" ends. Please select shrink color when ordering. email for custom lengths with no special order charge.